As the subtitle says, this is a novel of the Maccabees during the silent years – the years between the Old and New Testaments of the Bible! I loved it and thought it was a fabulous historical fiction novel. Not only does the author do lots of research to provide as much real history as is known, she also has a way with words, spinning a story that keeps you wanting to turn page after page! But, this is not a book for those who want a pretty story – Judah Maccabee is a warrior, defending his country and way of life against some wicked oppressors – the fighting is nasty, to say the least! The author writes this story from the viewpoints of Judah Maccabee and his wife Leah, alternating from one to the other, giving the reader a greater depth to the story. And I confess, at the beginning of the book I felt sorry for Leah, then I didn’t like her, and finally I admired her – I don’t usually change my feelings so much about a character in one book! At the end of the book the author tells what parts of the book are fact and what is fiction – I liked knowing that the battles described really occurred and I’m gaining real historical knowledge as I enjoy a good book. Unfortunately, too though, the tortures described in the book really happened and some parts of it were hard to read. But I do highly recommend this book! I received a copy of this book from the publisher. I am freely writing a review – all thoughts and opinions are my own. To Be Silent Would Be to Deny Their God, To Defy Would Bring the Wrath of the King. Seeking quiet and safety after a hard childhood, Leah marries Judah, a strong and gentle man, and for the first time in her life Leah believes she’ll have peace. But the very nation Judah was named for has been conquered by a cruel king, who decrees that all Jews are to conform to Syrian laws or risk death for following the laws of Moses. Judah’s father resists the decree, igniting a war that will cost him his life. But before dying, he commands Judah to pick up his sword and continue the fight–or bear responsibility for the obliteration of Israel. Leah, who wants nothing but peace, struggles with her husband’s decision–what kind of God would destroy the peace she has sought for so long? 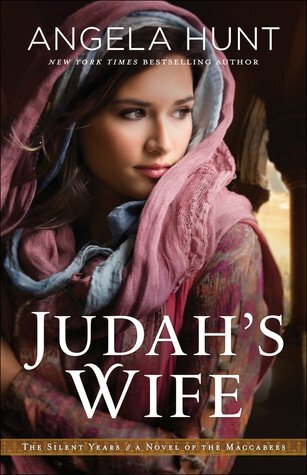 The miraculous story of the courageous Maccabees is told through the eyes of Judah’s wife, who learns that love requires courage . . . and sacrifice. 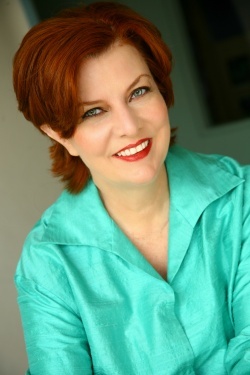 The Author: Christy-Award winner Angela Hunt writes for readers who have learned to expect the unexpected in novels from this versatile author. With nearly five million copies of her books sold worldwide, she is the best-selling author of more than 100 works ranging from picture books (The Tale of Three Trees) to novels (The Note, The Nativity Story, and Esther: Royal Beauty). Now that her two children are grown, Angie and her youth-pastor husband live in Florida with Very Big Dogs (a direct result of watching Sandlot too many times). This affinity for mastiffs has not been without its rewards–one of their dogs was featured on Live with Regis and Kelly as the second-largest canine in America. Their dog received this dubious honor after an all-expenses-paid trip to Manhattan for the dog and the Hunts, complete with VIP air travel and a stretch limo in which they toured New York City. Afterward, the dog gave out paw-tographs at the airport. When she’s not home writing, Angie often travels to teach writing workshops at schools and writers’ conferences. And to talk about her dogs, of course. Romantic Times Book Club presented Angela with a Lifetime Achievement Award in 2006. In 2008, Angela completed her PhD in Biblical Studies in Theology. She and her husband live in Florida with their mastiffs. She can be found online at http://www.angelahuntbooks.com.